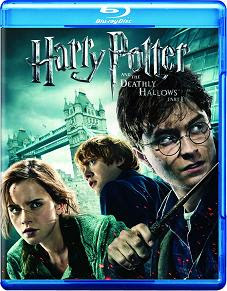 Despite my under appreciation (at least in terms of their enormous success) of the whole Harry Potter series, Harry Potter and the Deathly Hallows: Part 1 happened to easily outrun all of the previous installments in the contest for the most boring and unbearable experience. It wasn't that I expected something great or entertaining but I was still quite disappointed by the seventh Harry Potter movie. Frankly speaking, after six long years set at Hogwarts School of Witchcraft and Wizardry, The Deathly Hallows: Part 1 offers better character drama and development, a lot of dark substance and a variety of new places and happenings. Still, all of these are overshadowed by a boring narrative, chaotic events and unmotivated behavior. I am not going to delve into lots of details about the movie's story cause it's pretty much clear: Harry Potter continues his confrontation with Lord Voldemort. Harry and his two "inseparable" friends are on a journey to find and destroy the Horcruxes. A lot of people, creatures and things die. Harry is more lost than ever and only the occasional bright thoughts of Hermione (as usual) keep the party moving forward and in satisfactory health. Ron is constantly listening to some kind of a radio (yes, it's a fantasy movie) and an object similar to The Lord of the Rings' ring makes our heroes to act inadequately sometimes. As a bonus, we see a pointless wedding, a dance in the wilderness and plenty of other oddities. Our heroes are magicians (and supposedly skilled ones) but every "amateur" chasing them out there is able to easily capture them. Wherever Harry goes, he is almost immediately discovered by Voldemort or his servants unless Hermione does some magic. We hear a ton of incomprehensible incantations of which we understand nothing. Most of the times they do not even work. We constantly wonder why Harry, Ron or Hermione is doing this or that. There is hardly any sensible motivation behind the characters' behavior and this is valid not only for the leads. We see Draco Malfoy and his associates wondering if the third person they see in a group with Hermione and Ron is Harry Potter as if Draco (and everyone else) has not been constantly seeing the three of them together for years. When Hermione starts to look for a "mystic" symbol she begins to find it everywhere and to find it with ease: a random grave in a graveyard appears to have it when she removes the dust from it. Some of the situations are forced. We see Harry Potter letting Ron to perform probably the most important task in this film although he knows Ron has been unstable recently. Of course, the evil does not sleep and the next thing we see is Ron being tempted by the dark side of the force. Some people may argue that Harry has done this on purpose to give an examination to Ron and strengthen their relationship but even if this is the case, what more inappropriate moment to achieve it than this. Also the concept of Harry almost constantly not knowing what to do and everything to be driven and solved by Hermione is annoying at times. In addition to the above flaws and overall inaccessibility of Harry Potter and the Deathly Hallows: Part 1, the whole film is too long and tedious. The movie lacks a tight narrative and a good focus. Many of the events just happen. There is a bunch of expendable characters. Maybe if all of the series have been released over a two-year period similarly to The Lord of the Rings trilogy, the film wouldn't seem so messy. Maybe if you've read the Harry Potter books, the appreciation of the movie could be (considerably) different. But as I've said before I haven't read the Harry Potter books and this is still a valid statement. I've tried to approach the movie as a separate piece of art what it should be independently of the books and the truth is I cannot find it entertaining at all. I've seen worse films, of course, but rarely they've been so valued and successful as this one. I suppose if you are a fan of the books or if you've liked the previous Harry Potter installments and especially if you care for the lead characters, The Deathly Hallows: Part 1 would be good for you. But if you haven't been able to appreciate the series until now, the penultimate Harry Potter film will hardly make a more positive impression on you.